The Loreley Amphitheater is a UNESCO World Heritage and holds legendary ROCKPALAST shows in the 70s and 80s. On the hill of the River Rhine, it is located between Frankfurt and Cologne in Germany. 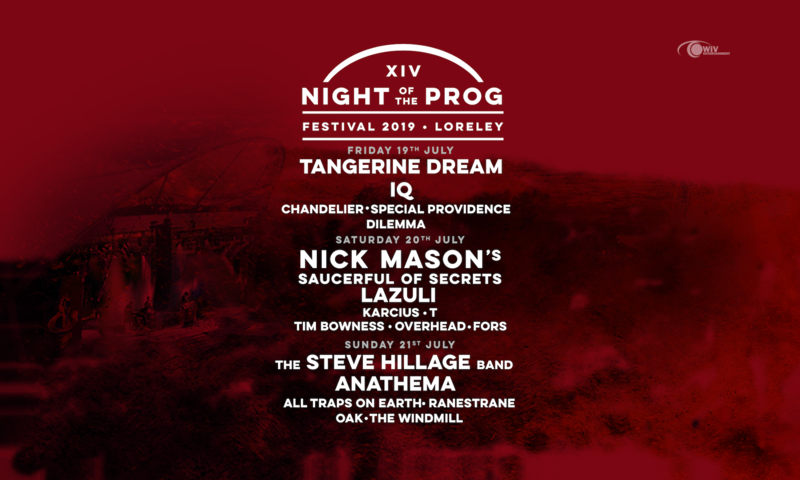 Since 2006 the Night of the Prog Festival is happening at the legendary rock, this time between July 19 to 21, 2019. The Night of the Prog Festival XIV is scheduled for July 19 to 21, 2019 at the Loreley Amphitheater. Tickets as well as the official festival merchandise can be bought using the following link.